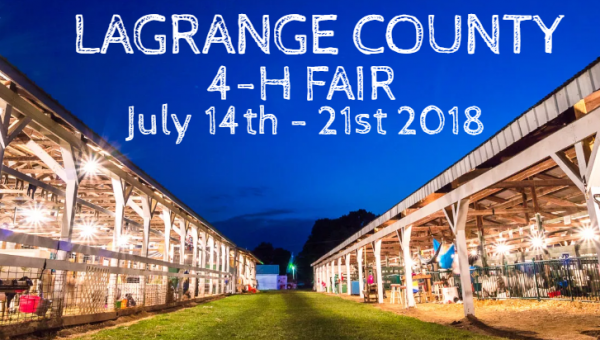 It would be hard to find a more family-friendly, traditional county fair than the LaGrange County 4-H Fair, held each summer at the LaGrange County 4-H Fairgrounds in the classic Indiana community of LaGrange. The fair always guarantees plenty of fun, from carnival rides and talent shows to 4-H judging, great food and loads of entertainment. But the dedication to maintaining a certain kind of excellence runs especially deep here, with organizers taking pride in the fair’s tradition of quality family fun and promotion of 4-H goals. So it’s not surprising that more than 500 4-H members exhibit here, displaying an extraordinary range of talent. Each day brings a chance to watch these young people show their swine, goats, poultry, dairy, beef, and even dogs and cats after months of preparation. There are also a host of non-animal exhibits, with 4-Hers competing in about any creative category imaginable, including cake decorating, aerospace, woodworking, photography, culinary skills, and science projects. There’s plenty of entertainment, too, with the 4-H Horse and Pony Fun Show and both 4-H and open draft horse hitches. And talk about family-friendly! The Kids Zone Area will keep youngsters delighted every day with an array of activities. The Kidz Science Safari provides hands-on experiments. There are daily free crafts and activities, a daily story time and Baird’s Petting Zoo for close-up encounters with the animals. One day features a Pirate and Mermaid Party and Parade (bring your own costumes), and other days bring frog jumping and paper airplane contests (frogs and airplanes provided). Everyone loves the Little Miss and Mister Contest too. The fair gets off to a great start with the big fireworks display opening night and the fair parade the following day. Sunday also brings a main stage performance by Crowder, a well-known contemporary Christian singer, songwriter and author. The whole family will love the daily Sea Lion Splash Show, with these amazing sea creatures balancing balls, shooting hoops, dancing and doing handstands. Be prepared for different thrills with rodeo competition, midget auto racing and extreme supercross racing. Add to all of this, a great carnival with rides that include everything from the Expo Wheel to the giant slide, games like the balloon pop, and delicious cotton candy, caramel apples and more, and you’re set for fun times. Make it your tradition!